The former Burton’s Store on the corner of Dame and South Great George’s Streets is one of the most expressive and exciting facades in the city. 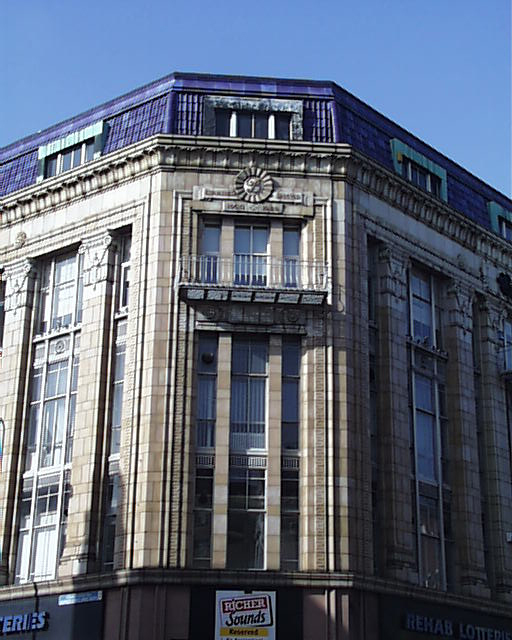 Built between 1928 and 1930, it is a good example of a restrained Art Deco building designed by Harry Wilson from Leeds. 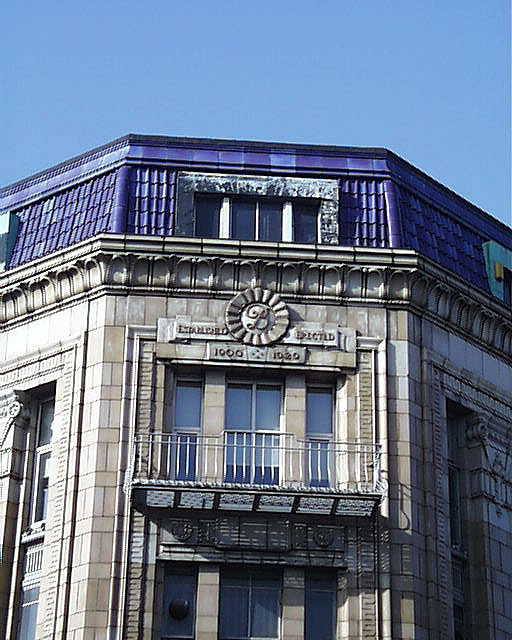 Clad in faience tiles and with a wonderfully coloured roof, the building was in the tradition of Dublin ‘corner-turning’ buildings with its similar facades along both streetscapes. 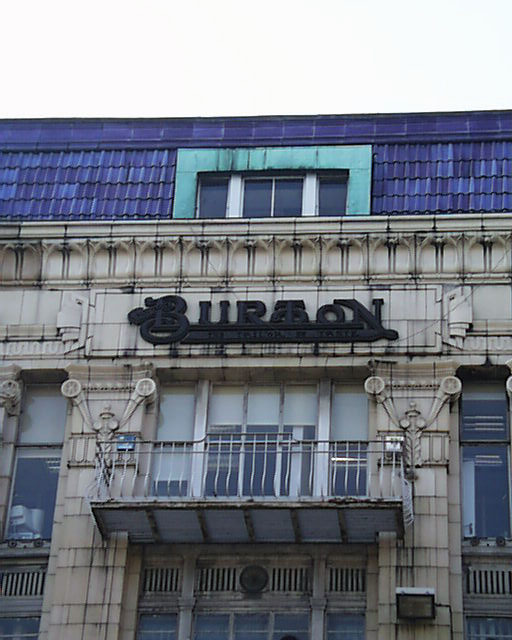 Every detail has been designed to promote Burtons: from the elaborate signage near the roof to the meticuously detailed air vents (with their Burton’s logo) underneath the main shop windows. The facade is incredibly detailed with moulded ornamental capitals, window surrounds and decorative cornice. The upper stories are used as office accommodation and bereft of much of their original detail bar some glass blocks on the staircases and around doorways.